For the project Glasstress, a collateral exhibition at the 54th Venice Biennale (2011), curators Lidewij Edelkoort, Peter Noever and Demetrio Paproni, assisted by Bonnie Clearwater, assembled a notable group of artists, architects and designers who were all invited to Adriano Berengo’s glass foundry on the island of Murano, the traditional centre of the Venetian glass industry. 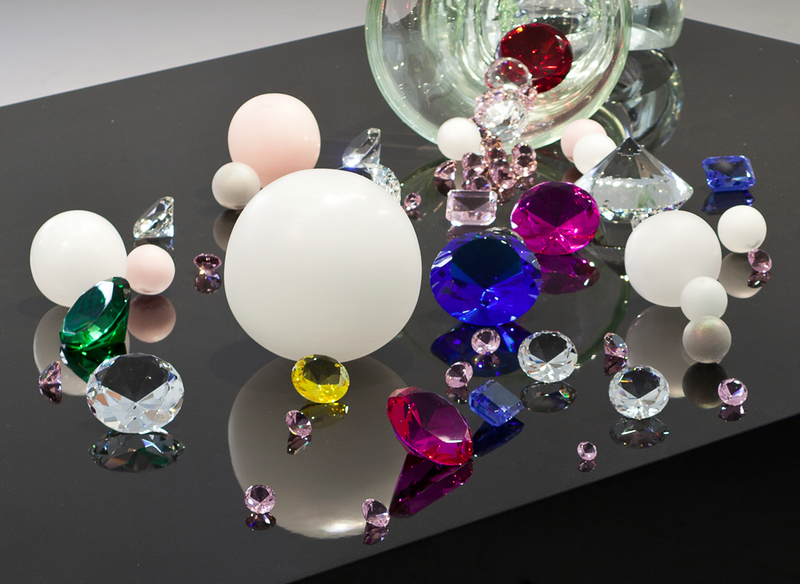 While Murano’s glass studios are largely famous for producing high-end kitsch, Berengo’s aim is to transcend the use of glass for purely decorative purposes, and to establish it as a medium for contemporary art and design. Ted Noten was one of the lucky artists selected to work with Berengo and his master glass-blowers. He made various design proposals, incorporating elements such as the famous drawing of a human figure by Leonardo da Vinci, but also a robot arm that could do engraving. The work that ultimately featured in the exhibition was a hugely blown-up version of a ring first conceived in 1995: If You Want to Be Beautiful, You Have To Suffer. The original ring was cast in transparent acrylic. Its dominant feature was an open, tube-shaped container mounted on the ring. The container was filled with all kinds of synthetic jewels. Anyone wanting to be beautiful had to move very carefully and always think first of the ring. 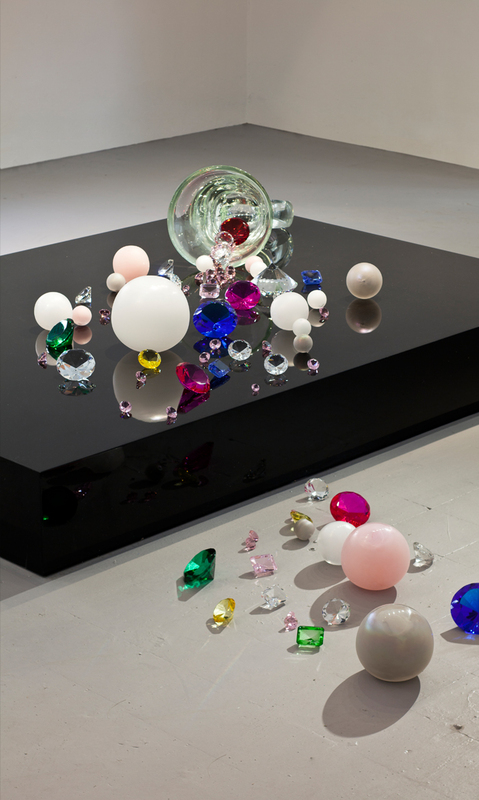 Otherwise all the jewels would instantly be scattered across the floor. 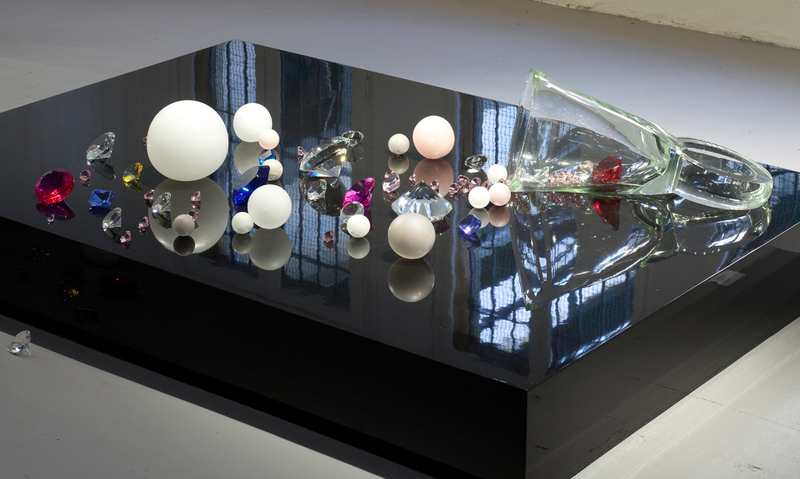 Assisted by the craftsmen in Murano, Ted Noten created this work on a much larger scale, using clear and coloured glass as his medium. 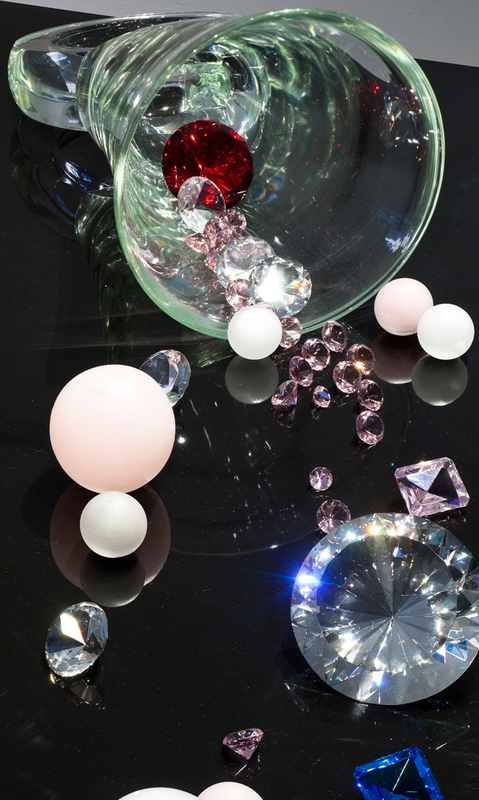 The resulting ring is 1 m across, and the jewels and pearls are as big as cannonballs.